[German]Microsoft’s Office365 business customers are facing an outage of Microsoft’s Office365.com service since January 24, 2019. Exchange Online is partially not reachable, so email can’t be send or received. Today (Saturday, January 26, 2019) a status update about that outage. I blogged about the outage of the Office365.com services that began early in the morning of January 24, 2019 in the blog post Office 365 down (January 24, 2019)? First it seemed that the issue hits only Europa, Africa and Middle East (EMEA) und went away on late Thursday evening. But on early morning of January 25, 2019 more and more users are facing again issues with Exchange Online and related Office365 programs. Later I learned, that not only the EMEA region was affected. 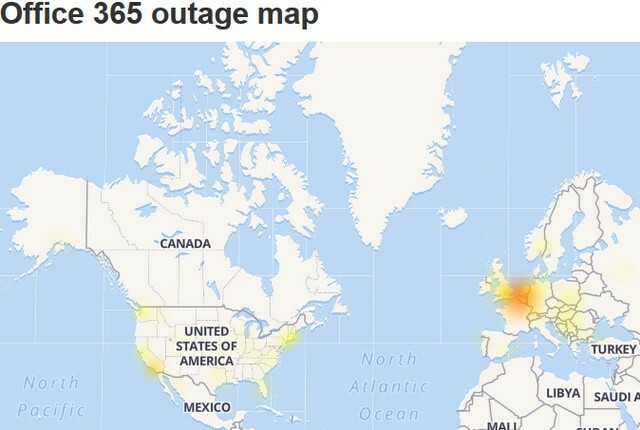 Also customers in USA are facing outages in Office365.com services since January 24, 2019. An article at Bleeping Computer addresses the issue on January 25, 2019 (the 2nd day of the outage). At one point, many Office365.com users seem to be working in the hot spots’. In Europe, the Netherlands and England (not Great Britain) are much more affected than Switzerland. 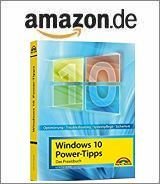 Germany has once again fewer reports of malfunctions (indirectly suggesting that the number of Office 365.com users may be significantly lower than in the other countries mentioned). In USA some ‘hot spots’ are located on the east and west coast. There has probably not been a complete breakdown of Exchange Online. Rather, I interpret Microsoft’s data (see following tweet) in such a way that the balancing of the traffic load no longer works correctly due to issues with domain controllers. Then connections are rejected (because the maximum number is exceeded). Also explains why Exchange Online seems to work at night when few people use it. What does Microsoft say about the issue? So it’s the usual speech: consumers are not affected, and only a limited subset of enterprise customers in Europe ‘are pissed’, because their employees are no longer able to work with Office365. Below I will have also a look at the ‘enterprise customers in Europe’ are affected statement within the following text. The second part of the statement says, that administrators can find information in the Office365.com Admin Center about whether the malfunction exists. Bleeping Computer reports that several administrators (from the USA) indicate that the malfunction EX172491 can no longer be found in the Admin Center. But that doesn’t mean anything. I got feedback from admins, reporting, that everything was fine, whilst others are shouting about the outage. During writing this blog post today I’ve called the site downdetector.com (Saturday, January 26, 2019, at 11:59 a.m., European Time). The number of complaints about the outage decreased, as expected, in the night of 01/26/2019. Only at 11:00 o’clock I saw a fault report. Could be interpreted that the outage has been solved. But we can’t be sure because it’s the weekend. So I took a look at the card with malfunctions provided by downdetector.com. The above map from downdetector.com shows at 11:00 o’clock (01/26/2019) some outages in Europa and some in USA. I interpret it in a way, that the Office365.com/Exchange Online outage isn’t over. And the Microsoft statement about a subset of affected enterprise customers in Europe is simply not true. What’s your experience? Ist office.com still down or back in operation? Office 365 down (January 24, 2019)? This entry was posted in Cloud, issue, Office and tagged Cloud, issue, office365. Bookmark the permalink.